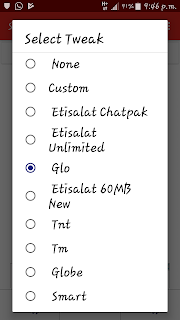 Hi, I will be sharing a Glo Free Browsing code tonight, though the cheat has been on for some time now. The free browsing is surely back. Though Glo blocked this cheat some months ago, now a new version of stark VPN reactivates the cheat which was previously blocked by the network. 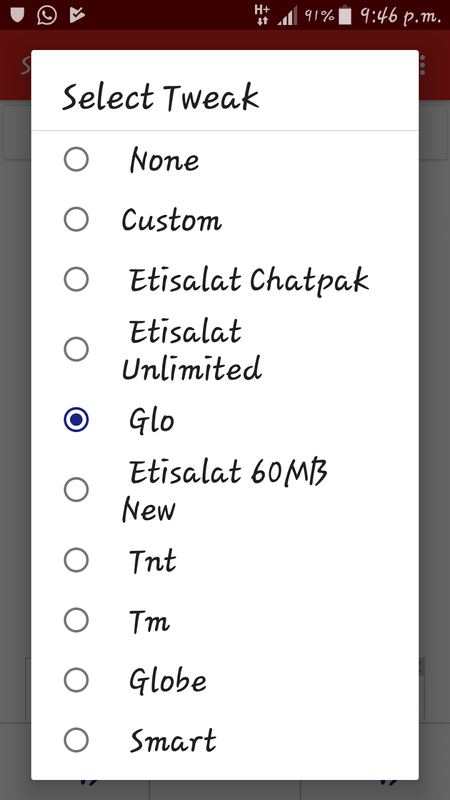 With the latest Stark VPN, you can enjoy unlimited free browsing on your Glo line 24/7. Tap Tweaks and select “Glo”.